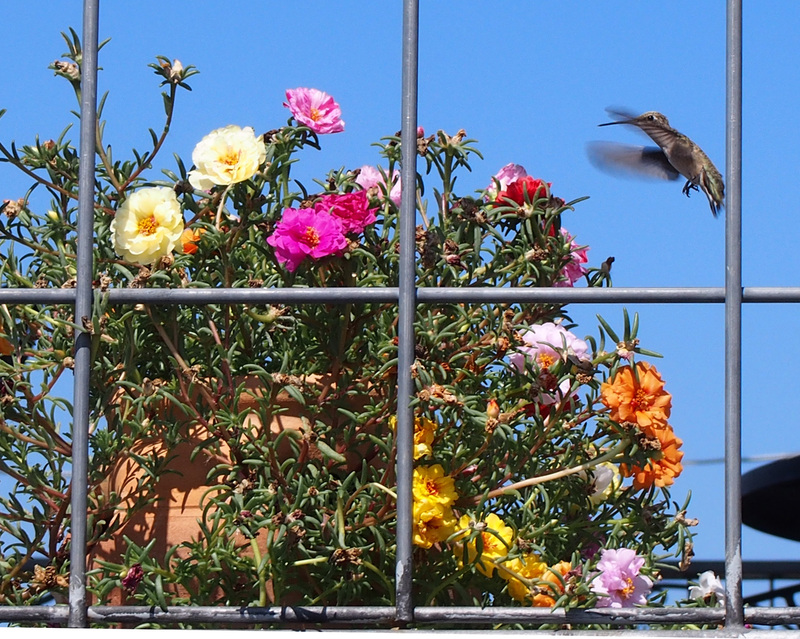 Wildlife troughs and a photobombing hummingbird. We keep several small water troughs around the yard for wildlife. One is hidden from view of the house so the animals can drink in peace. This is where the deer and other shy creatures drink. When I first set it out, I did not put anything in the trough, then I found a drowned mouse that had fallen in and I felt awful. 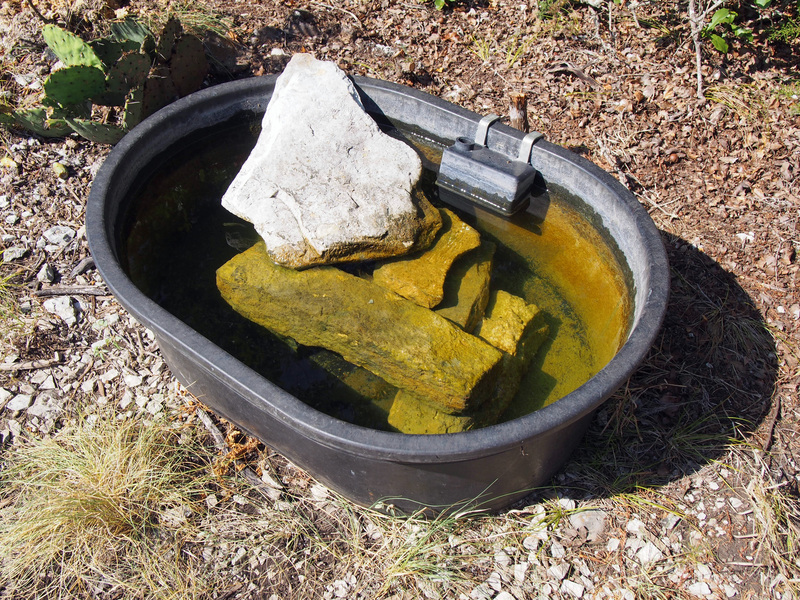 So I added a series of rocks that stair step up to a large rock that leads out of the pond. it seems to have taken care of that problem. 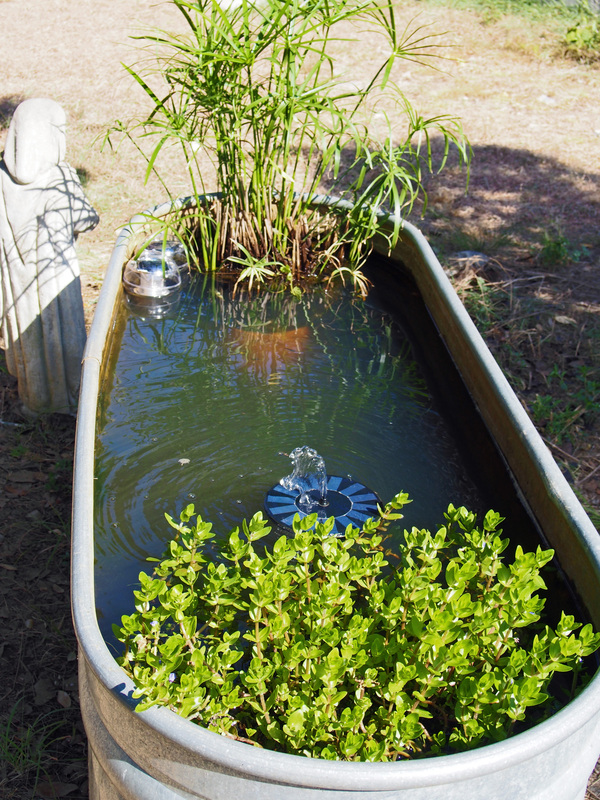 It also gives shelter for the fish we keep in the troughs or adventurous frogs. Wildlife tank for birds and insects. The insects like to land in the plants and drink from there. 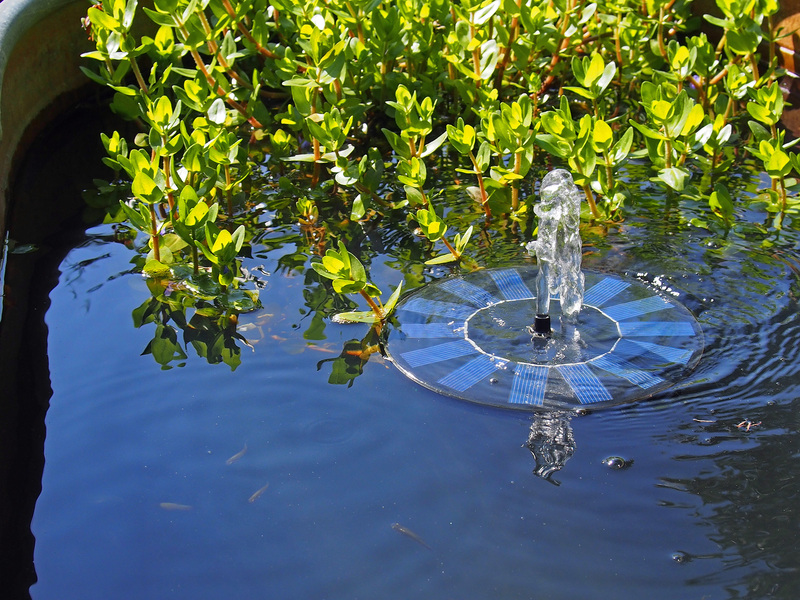 Close up of solar pump (for aeration) we also keep Gambusia (Mosquito fish) in all the tanks. 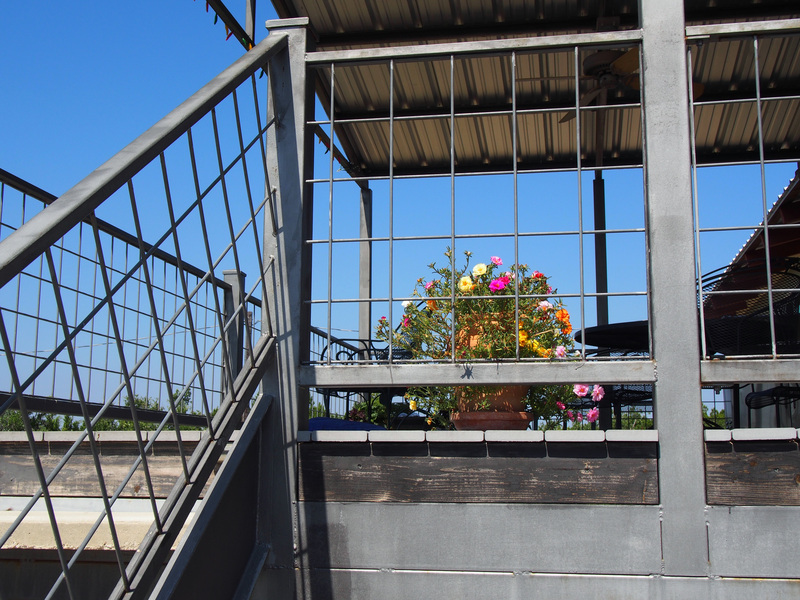 Stairs to porch. 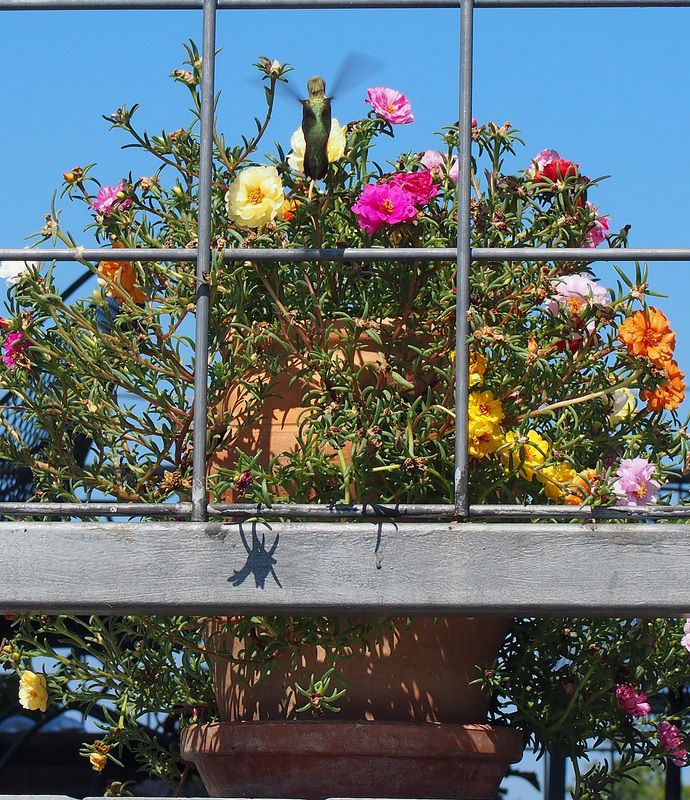 I have Portulaca flowers at several locations and moved these here yesterday. I wanted a photo showing placement. 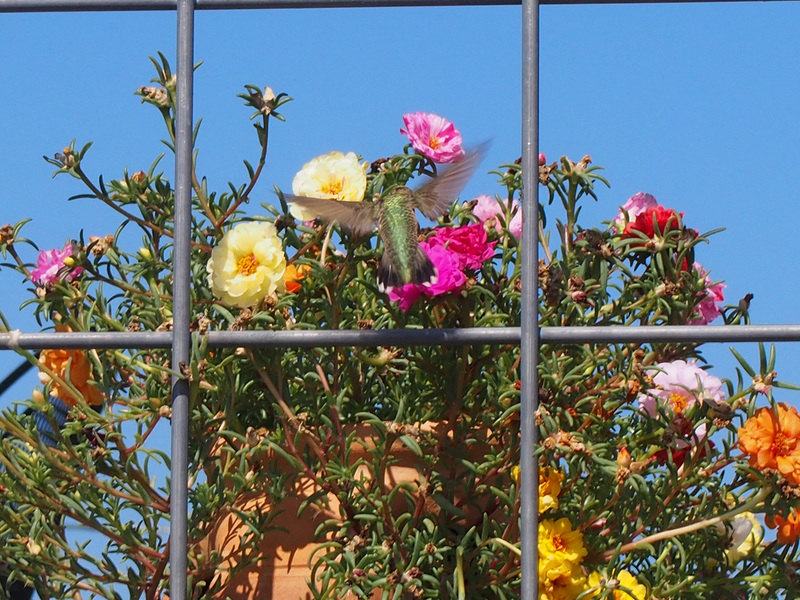 As I was taking the photo, this Hummingbird came and started going from flower to flower.